I found this cloth at the local thrift store and was charmed by the hardanger motifs on it. I think it was a cloth napkin but not entirely sure. It had stains on it but nothing near the motifs so it was fair game for upcycling in my eyes. One corner had the larger hardanger motif - very nicely stitched. Kitty corner to that motif was this smaller one which was a nice compliment to the other. The edges of the cloth were nicely finished and fringed so I decided how large I wanted it and added nun stitch to the unfinished sides to create a stable fringed edge all the way around. A bit of felt and silk ribbon from the stash and I had a nice needlebook. I used the smaller motif and more nun stitching to create a scissor fob using stash threads to create the twisted cord and the tassel. It made a nice little gift for a stitching friend! Believe it or not, I am finally catching up here! The advantage to having given up on housework during the renovations seems to be more stitching time - yay! It was a lovely stitch and I actually think I will do the same bands on another sampler round robin I am involved in - I liked stitching it that much! This is how the round robin project is shaping up so far. The eyelet border was started by the person whose project it is and will be completed by her at the end. Do check out the lovely band of needlewoven trees someone added at the bottom - they are to die for! I wonder if it is only Canadian kids who say that - H-E-double hockey sticks? Anyway, one way or another, it has been renovation hell around here the last couple weeks! Here is "the Man" taking up the original flooring in the great room downstairs. Since the church was built in the very early 1900's, these boards have seen over 100 years of use and they didn't owe anybody anything. We had them refinished about 20 years ago but there wasn't enough wood left to sand them down again. So, up they all came...then the paper lining under them, and all the dirt that had seeped down over 100 years. So, if you ever gave any thought to where all the topsoil blew away to during the Dirty Thirties, wonder no more - it was all under my floor boards! After this was done, the Man laid the new subfloor down. The plan now is to wait until the walls are all repaired, washed and painted before the new flooring goes down. Hopefully this will all happen during this month of December. Now, here is the hell part of the renovation. Working on one side of the great room at a time everything from had to be shoved over to the other side, then moved back when he worked on the second side. Two bookshelves had to be emptied so they could be moved, the poor fish in the aquarium spent a week in barely enough water to cover their fins, china cabinet emptied and moved and all my stitching paraphernalia and paperwork shuffled back and forth before ending up on the dining room table for the duration. Now of course it all has to be sorted and sifted through and find new homes, only to have to move it all again later in the month. I think I am giving up on housework until this project is over! Good idea - stitch instead! The first section done was a section of pattern darning. Since it was open to any form of counted work this was a great idea - the colour looked very bold. The second section was pulled thread work which was another great idea - I would have thought it would be too difficult to do on this fabric. It is Chinese silk and has quite a loose weave but as you can see it turned out very nicely. And, last but not least, my own contribution to the piece which is a section of a blackwork filling stitch. Not as adventurous as the others but done and off in the mail without being too late. So, this is my new neighbour who has moved into the tree on the other side of my front yard. He might not look like much here but when he spreads his wings and flies across the yard, he is pretty impressive. I haven't got close enough yet to determine what kind of owl he is for sure but he seems to be making himself at home which is fine with me as long as he doesn't start eyeing up the cats or my little 5 lb Pom! They aren't going outside unsupervised anymore. Yesterday I met the newest addition - a muskrat! It has been so dry around here most of the ponds have dried up so I guess he is adapting. While I was sitting on my porch I watched him scamper across the front yard. My heart did a little flip because at first he looked like a rat! We don't have rats here in Alberta (long story involving a rat patrol, etc) so thinking you see one is a big deal. I continued to watch him as he scampered around, then across the yard and under the porch. 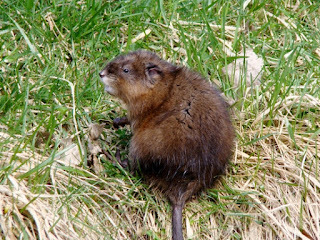 When my husband got home from work, I told him we had a muskrat under the porch and we both thought that was pretty interesting. Later that evening though we heard enough noise from the cellar to realize it wasn't the porch he was living under, it was the house! So, of course we named him. And now that we know Muskrat Sally is down there we can hear him moving around all evening long, banging against the furnace vents. It remains to be seen how the new tenant works out. I received such a treat in the mail last week from my Secret Stitcher! 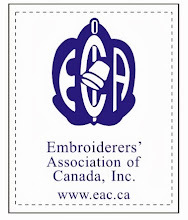 This is an exchange we have on EAC Virtual Threads, the online chapter of The Embroiderers' Association of Canada. It is like a traditional secret sister exchange except, of course, we are all stitchers and that is reflected in the gifts we exchange. I love Hallowe'en and decorate the house and yard every year even though we get very few trick-or-treaters coming to the door. Isn't this embroidered bellpull to die for? The front features three cross stitch pieces on a spider web background fabric. The back is pieced with so many wonderful Hallowe'en fabrics - I love it! The top section of embroidery is two adorable trick-or-treaters. I love their little loot pails! The second section is just as spooky - pumpkins, jack-o-lantern, bats and crows! Then at the bottom of the bell pull this wonderful piece with dancing skeletons, ghosts and more! I really wish I could take credit for making this but I can't. Huge thank yous going out to my Secret Stitcher! She really outdid herself with this and couldn't have found anything I would like more. I LOVE IT!! Well, I am finally settled in at home again after a long summer working at the campground! I have actual been home about a month now and it has taken this long for me to get used to being home again, catching up on some things and getting back to stitching again. It feels very good to be home! This is a canvaswork project called "First Snow", designed by Carolyn Mitchell. 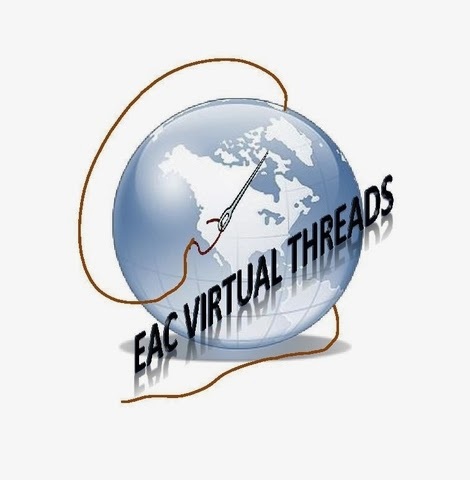 It is a workshop on Virtual Threads, the online chapter of The Embroiderers' Association of Canada, and the chapter paid for the teaching fees from the proceeds of a little silent auction we had at Seminar in 2014. So, all we members of Virtual Threads needed to do for the workshop was to buy the supplies - who could resist? Carolyn is teachine this as a mystery project and what you see here is the first of three lessons completed. I am really enjoying this - canvaswork is so relaxing! I have chosen to do this in silk threads instead of the cotton thread alternative and so far they haven't been giving me any trouble. There will be pearls added to this section at the end so I am looking forward to seeing what that adds to the look of it. On to lesson 2! Do You See Designs Ideas Everywhere? I am constantly seeing things that inspire me to try to stitch them - do you? It seems like these ideas are everywhere around us and I am continually taking photos so I will remember them later. This feature wall on the exterior of the Royal Albert Museum in Edmonton has me thinking of stitching the ancient pictographs of the aboriginal people of Alberta. Perhaps a visit to Writing-on-Stone Provincial Park is in order to do more research! At the EAC National Seminar this year, the fruit trees at SAIT were in full bloom but early in the week we awoke to a spring snow. The juxtaposition of the spring blossoms weighed down with a blanket of winter snow appealed to me - typical Alberta weather! What about the hinge on this door from the oldest builting at SAIT? Don't you love the dragon? I wish there was more of this kind of whimsical detail in modern architecture! I think a thread painted magpie will be a project in the near future. 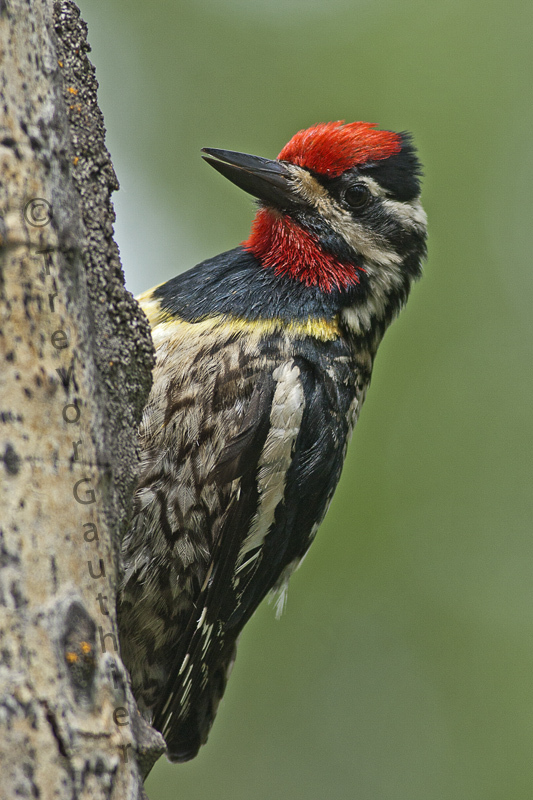 Everytime I see one of these birds close up, I appreciate the blue metallic sheen in their black feathers. Can't you see this captured with lovely Kreinik threads creating the highlights? There are a wonderful amount and variety of birds here by the river and I have been enjoying waking up to their song each morning. My first thought when I noticed all the shavings around the base of this tree was that the beavers had been at work again but not this time. An obvious clue was this perfect whole in the tree trunk - obviously someone's home but much closer to the ground than I would have expected. The shavings were much finer than those left by beavers as well - amazing that all this was done with a small beak. The inside of the hole is quite large and perfectly carved out. I tried for a photo of that as well but it didn't come out. I think that the hole I found is the nest of a sapsucker. I thought it was a woodpecker but my husband has corrected me and he is more of a birder than I am. Looking at this photo, you can see why I usually think beavers when I see any wood shavings at the base of a tree. The beavers have been at their handiwork in spite of our best effort to wire as many trees in the park as we can manage. The beavers tend to take the tree almost down and then lose interest for some reason and off they go, leaving a very weakened tree that will succumb and fall during the next big wind. Yes, beavers have to live too but it becomes a concern when these trees start falling on the hiking trails or near someone's campsite. Even in a park where people appreciate a natural setting, the safety of hikers and campers must be considered. One close call of a weakemed tree falling near a group of children was all it took to convince me that the beavers are a cause for concern. Hopefully the wiring of the trees will convince them to move along the river a little farther away from the campers. 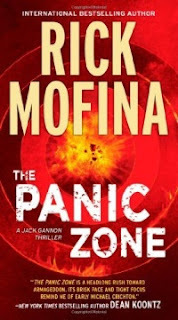 This one is a winner and I am happy to recommend it to anyone. 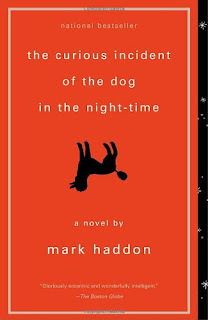 the curious incident of the dog in the night-time is written by Mark Haddon, who spent time working with autistic people. The book takes the form of a journal of a boy with Asperger's Syndrome as he tries to solve the mystery of the murder of a neighbour's dog. It provides insight into how this boy sees the world around him and how the autistic mind works - it is a revelation and one of the best books I have read in recent years. My new internet hub gave up the ghost after only a month so I was stuck with no connection for a couple weeks until I could get to town to have the faulty cord replaced. Frustrating to say the least! 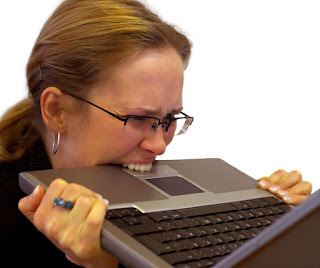 Back online now, but in the meantime, now the electrical system in the 5th wheel has gone haywire on me... I am left now with three working plug ins and two lights that work - one in the bathroom and the other above the computer. At least the receptacles I plug the computer into are still working so I can sit in the dark and be online...lol. 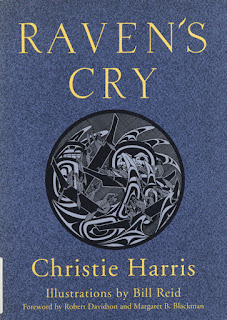 I enjoyed this book for the insight it gave me into the Haida culture and traditions. To me at least, the history of these Native people of the Queen Charlotte Islands (Haida Gwaii which translates to "Islands of the People"), British Columbia. 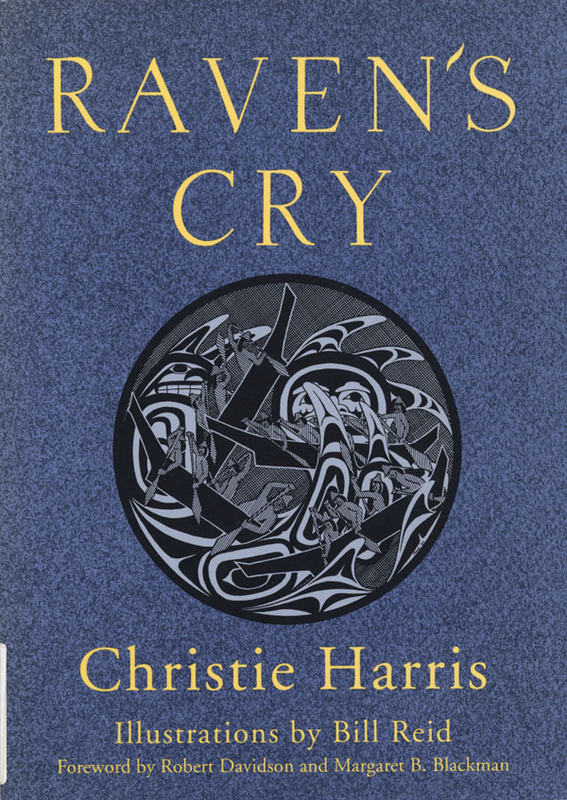 I was fascinated with the rich tradition of Haida art and find myself wanting to know much more now. Like Raven's Cry, this book provides insight into a people and time, in this case the time is 70AD and the people are four women during the seige of Masada. 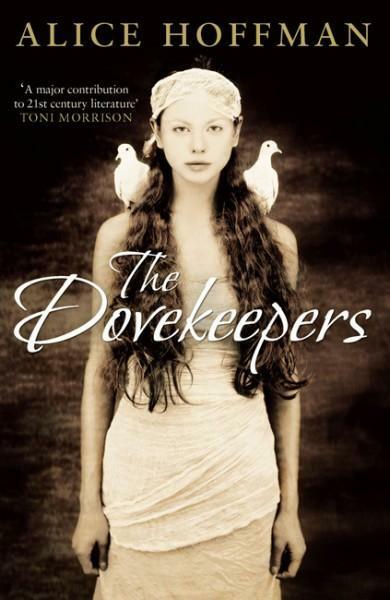 It tells the story of the intertwining lives of these women and is definitely a good read in my opinion. 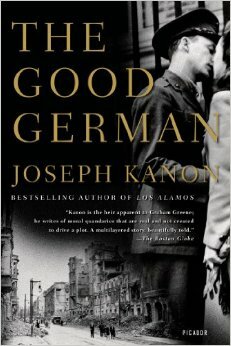 Again, a time and place I had not given much thought to - Berlin in 1945. 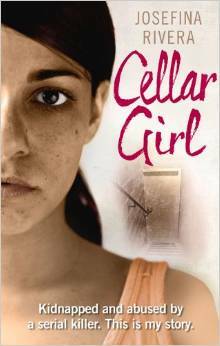 This is a good story - mystery and love against the backdrop of a city devastated by war. Worth reading. I have a weakness for books by Dean Koontz and this one is not a disappointment. 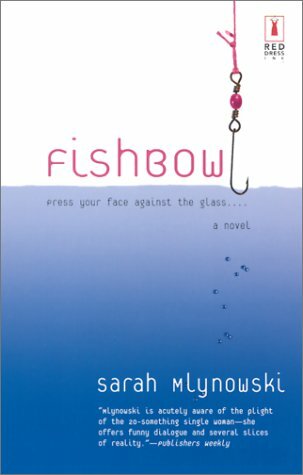 A great story, good characters and development. Difficult to put down. "Passionate crafters know that needlecraft - knitting, sewing, quilting, cross-stitch, et al is so much more than a hobby or a way of passing the time. 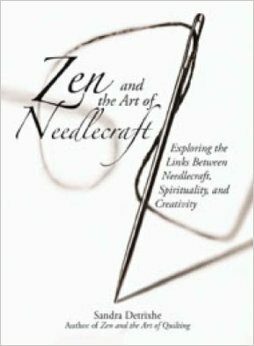 "Zen and the Art of Needlecraft" explores needlecraft as a means of balancing the mind, achieving enlightenment, and living consciously every day. Whether embracing the Zen principles in gift giving or creating projects conducive to spiritual growth, author Sandra Detrixhe leads the reader along the Zen path in the way that only another serious crafter can." 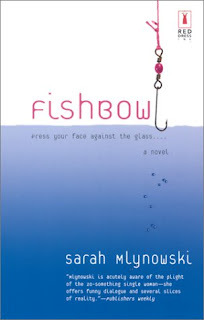 I would call this one a good summer read - amusing and light hearted story of some broke girls sharing an apartment. Mostly fluff but when you are stuck in a camper with my tv and no internet it passes the time pleasantly. 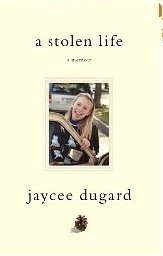 A disturbing book about Jaycee Lee Dugard, kidnapped by a stranger at eleven years of age and kept for eighteen years. A sad commentary on how an overworked system ultimately fails in protecting those who need protecting. Uplifting in her strength and optomism. I enjoyed this thriller, a bit complicated in characters and locations but a good read. 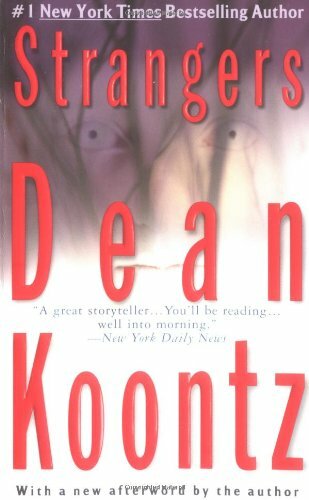 My daughter in law is a fan of true crime stories and loaned me this book. It is disturbing and graphic but ultimately her strength is what allows this woman to survive and see some of the other women imprisoned by a serial killer released. A story of human endurance. That's some of the books I have read lately - quite the list I realize and it makes you wonder how I have time while I am complaining of being overworked and exhausted and unable to accomplish much of anything. I guess my excuse is that when I am too tired to do anything at all, I can still manage to read into the wee hours of the morning.